Hanging your stocking during the Christmas Holiday has become an essential tradition. It used to be the biggest sock you could find in your sock drawer and now it’s handmade, decorated and personalized in hopes that it would be full with sweets and little gifts on Christmas morning. Hang Christmas stockings for everyone in your family this year from your fur babies to actual babies! 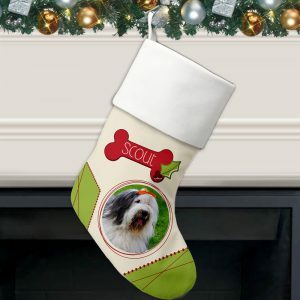 Spoil your pet this year with a personalized stocking just for them! Have a funny or cute photo of them rolling around in the garden or playing with their favorite toy? 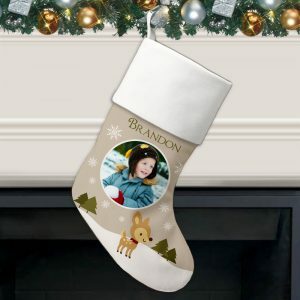 Put that photo on our personalized stockings for dogs and cats. Once its up, it’s time to stuff it with treats! Try a batch of these amazing homemade biscuits or a simple salmon treat for a healthy and delicious snack they are sure to love. Fill up their stocking with these DIY toys for their new favorite hobbies! Hanging stockings aren’t just for kids! All ages can get in on the surprise and fun of opening a stocking on Christmas morning! 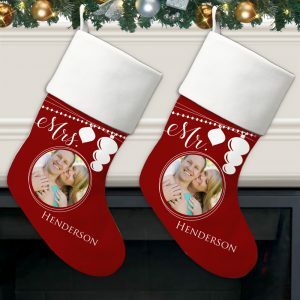 Our Mr. & Mrs stockings are perfect for parents, grandparents or that newlywed couple! Choose a matching couple picture to really make it special! Stuff these stockings with their favorite sweet treats or this cute magnetic heart key chain engraved with their names and special date or an engraved letter opener for all of those Christmas cards coming in! 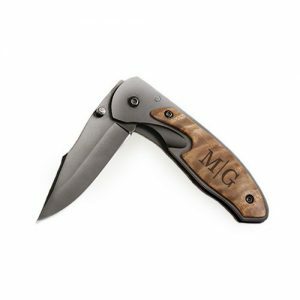 For men, try a personalized pocket knife or engraved money clip. 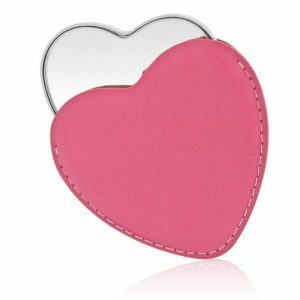 For women maybe a beauty product that they have been eyeing for while with a matching compact purse mirror or a monogrammed silver heart bracelet! Growing up, pouring out your stocking was one of the most exciting things on Christmas morning! For those picky teenagers that think they are too cool for Christmas our football, Soccer and basketball stockings are sure to make an impact. Have a cute school photo or fun photo of them; use it on the little reindeer stocking to really get into the Christmas spirit! Skip the unhealthy treats with this easy and healthy chocolate cluster recipe! Fun stocking stuffers like keychains, funky socks or grooming products like nail polish and cologne really make opening their stocking fun and special! Baby’s first Christmas, an exciting time for the whole family! 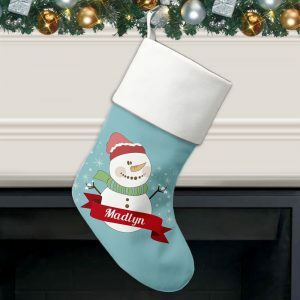 Introducing your baby to the families Christmas stocking tradition is easy with this Baby’s First Christmas Stocking for Boys and Girls. 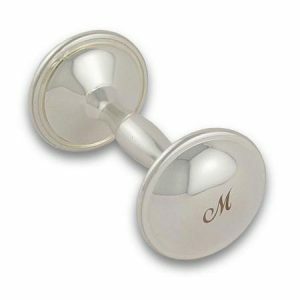 Not only can this serve as a memento from their first Christmas, but can be filled with useful items! A couple of small teething toys or small books fit perfectly in the stocking. A cute baby bib or winter socks are also great stuffers. 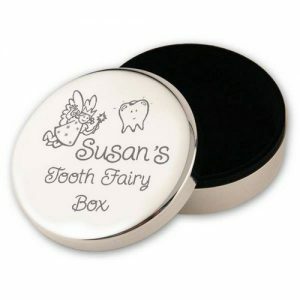 For something really special try the monogrammed silver baby rattle or their first tooth fairy box . This year make Christmas extra special and take a modern spin on this special tradition with a personalized stocking! 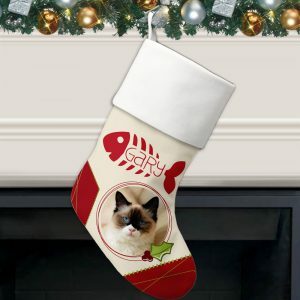 There’s a stocking for everyone in your family – from grandparents to pets. Sweets and treats are standard stocking stuffers, try one of the recipes or gift ideas for some surprises on Christmas morning! What are your favorite types of stocking stuffers? Let us know below, we love hearing traditions and treats your family loves!